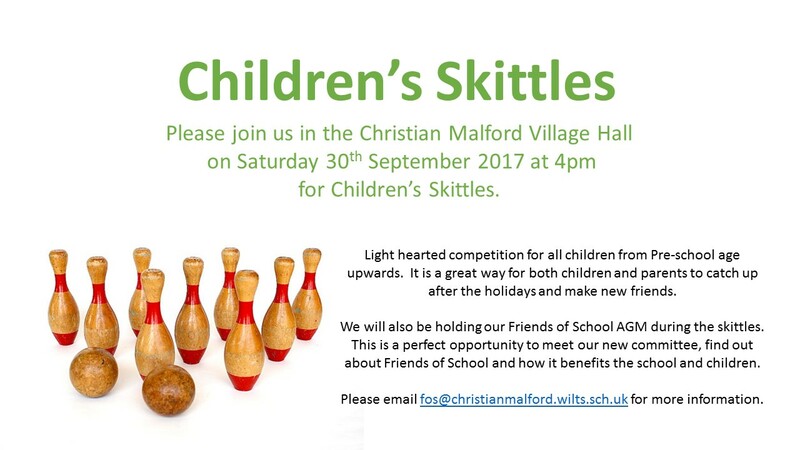 Our Friends of School are holding Children’s Skittles in Christian Malford Village Hall on Saturday 30th September at 4pm. Come and support them, keep the children entertained and meet their new committee. ← Not a dry eye in the church!